Governor Scott Walker is coming our firmly against allowing teachers to carry guns in schools. While several Republicans, including Attorney General Brad Schimel, have come out in support of the idea in the wake of a school shooting in Florida last month that killed 17 people, Walker on Wednesday soundly rejected it as an option. “No…there’s plenty of things we can do,” Walker said, while noting that many teachers themselves are not interested in the option. The governor said he’s working with lawmakers, school officials, and law enforcement to look at ways to address school safety, which could include potential legislation. “No child, no student, no teacher, no parent should ever have to be afraid of being threatened,” he said. Speaking to reporters in Madison, Walker declined to offer specifics though or say if he’s planning to call a special session to take up legislation this spring. Several Democratic lawmakers have called for legislative action on gun control in the wake of the Florida shooting, including an effort in the Assembly last week to vote on a bill that would have required universal background checks on gun sales. Assembly Republicans rejected the move, amending the bill to address straw purchases of firearms and to create a grant program to help districts fund adding armed security guards in schools. Officials with the Wisconsin Elections Commission are disputing a national media report that the state’s election systems were among those compromised by Russians ahead of the 2016 elections. NBC reported Tuesday that Wisconsin was one of seven states that had websites or voter registration systems compromised by covert operatives supported by Russian interests. The outlet cited unnamed senior intelligence officials in its report. 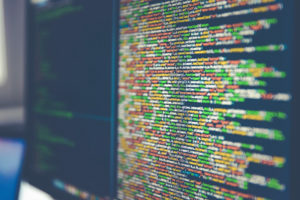 The state was notified last September that Russian interests attempted to scan Wisconsin system in 2016, but there was no indication they had successfully gained access. A Republican candidate for the U.S. Senate is challenging his primary opponent to six debates this spring. Marine Corps veteran Kevin Nicholson is asking state Senator Leah Vukmir to meet with him in debates in six cities over the next two months. Nicholson, a political newcomer, said the debates will provide an opportunity for voters to see who is best equipped to take on incumbent Democratic U.S. Senator Tammy Baldwin in November. “The best way to do this is to hold a series of respectful debates over the month of March and April so voters can decide who will best represent them in Washington when it comes to the future direction of our state and nation,” he said. 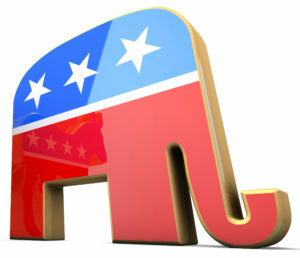 The primary for the Republican nomination is in August. The state’s top election official says he will no longer pursue efforts to keep his job. In a letter sent to members of the panel Monday, Wisconsin Elections Commission interim administrator Mike Haas said he plans to leave the agency to pursue other opportunities, and urged commissioners to appoint a new interim administrator when they meet this Friday. The decision comes after the state Senate voted earlier this year to reject Haas’ confirmation to a job he had held for more than year, citing concerns about his ability to be impartial. The commission has so far resisted the Senate’s call to remove Haas, voting to retain him shortly after lawmakers rejected his nomination. The stand-off could have resulted in lawmakers acting on their own to appoint a new administrator and possible legal action – something Haas said in his letter that he wants to avoid, because of the potential effect it could have on the agency and its request for more resources. “In order to remove any doubt and further controversy regarding the Administrator position, and to preserve the Commission’s ability to choose its own Administrator, I am requesting that the Commission appoint another individual to the position,” he wrote. Haas is also throwing his support behind the commission naming current Assistant Administrator Meagan Wolfe as the new interim administrator. A national Democratic group has filed a lawsuit challenging Governor Scott Walker’s decision to leave two legislative seats empty until the November election. 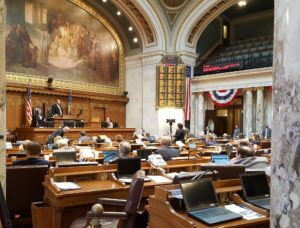 The vacancies in the 1st Senate District and 42nd Assembly District were created after the Republicans that held them resigned in late 2017 to take jobs with the Walker administration. The governor has argued special elections can’t be held fast enough to fill them before the current legislative session ends. 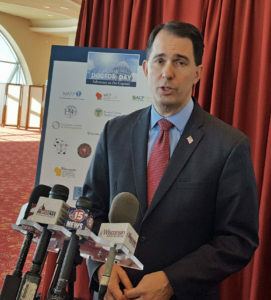 Walker has also argued that current law supports waiting until the November elections, since former state Senator Frank Lasee and former state Representative Keith Ripp resigned before the end of 2017. A lawsuit filed Monday in Dane County by the National Democratic Redistricting Committee argues leaving those seats empty for more than a year violates the rights of people living in those districts. The group, led by former U.S. Attorney General Eric Holder, says the governor should move to fill the vacancies as promptly as possible. “Forcing citizens to go more than a year without representation in the General Assembly is a plain violation of their rights and we’re hopeful the court will act quickly to order the governor to hold elections,” Holder said in a statement. A spokeswoman for Governor Walker noted that voters are already heading to the polls in November to elect new representatives. 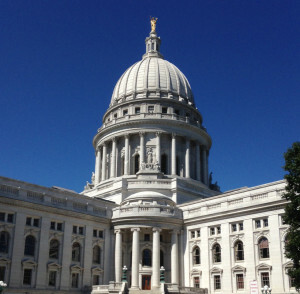 “This D.C.-based special interest group wants to force Wisconsin taxpayers to waste money,” said spokeswoman Amy Hasenberg. The annual sturgeon spearing season on Lake Winnebago has come to a close. The season ran the full 16 days with spearers only taking 654 sturgeon from the big lake. That’s about 30 to 35 percent of the adult female harvest cap, according to DNR sturgeon biologist Ryan Koenigs (kay-nigs). Another 297 fish were harvested from the Upriver Lakes, where the season only ran four days. It’s the third year in a row the Lake Winnebago season has gone the full 16 days without hitting the cap. Koenigs says it should not be seen a sign that there are fewer sturgeon in the lake though. Rather, it’s a side effect of limited visibility in the water, which results in fewer opportunities to spear the large fish. Koenigs says being able to see at least 12 feet below the surface of the water is sort of a minimum threshold on the already deep lake. The average visibility at the opening of this year’s season was under seven feet. Several factors play a role in water clarity, although weather conditions in the month leading up to the spearing season are a big part of current conditions. Koenigs notes mild January weather, along with a lot of rain instead of snowfall, lead to run-off entering the lake. There was also limited snow cover before the start of the season, which allowed sunlight to filter through and generate algae blooms beneath the surface. 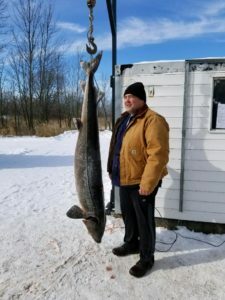 Koenigs notes those participating in the season still saw a great deal of success, with more than 50 sturgeon that weighed over 100 pounds harvested. 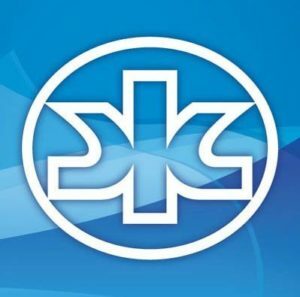 Kimberly-Clark would be able to take advantage of new tax incentives if it keeps two of its Wisconsin plants open, under a bill approved by the Assembly Thursday night. The proposal would offer the company benefits similar to those used to lure Foxconn to the state last year, including job retention tax credits of 17 percent of payroll. State Representative Mike Rohrkaste (R-Neenah), who represents the region where the plants marked for closure are located, said it could help protect those 600 jobs and the others that depend on Kimberly-Clark’s presence. Democrats argued the proposal sets a bad precedent though and could encourage other companies to request similar benefits by threatening to leave the state. State Representative Amanda Stuck (D-Appleton) also noted that the company used federal tax cuts approved last year to justify the cuts in the first place. Kimberly-Clark did not ask for the incentive package and has only said it will take it into consideration. The bill passed on a 56-37 vote. It now heads to the state Senate. 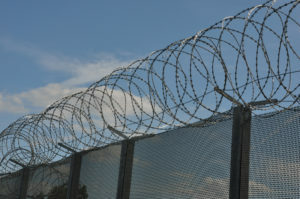 The state Assembly has passed a bill that would make it easier to revoke the release of anyone on extended supervision, parole, or probation if they are charged with a crime – adding in language that would also fund new prosecutors and construction of a new prison. The legislation was one of dozens of bills the chamber was taking up Thursday, as the Assembly pushes to wrap up its floor periods for the year. Its original aim was to allow the Department of Corrections to recommend revoking the release of those who state Representative Joel Kleefisch (R-Oconomowoc) said “screw up” their second chance. Democrats were critical of the effects the bill would have on the corrections system, both through sending people back to prison and by taxing the courts. While an amendment authorizes up to $350 million in borrowing to fund a new state prison and funds the addition of nearly 54 new prosecutors in 40 counties, state Representative Evan Goyke (D-Milwaukee) said it could overload the system. “The long term consequences of this bill will be meaningful criminal justice reform in the state of Wisconsin – the short term consequences are that we will break the system, and break our bank,” he argued. The legislation now heads to the Senate, which will have to sign-off on the amendments added by the Assembly. 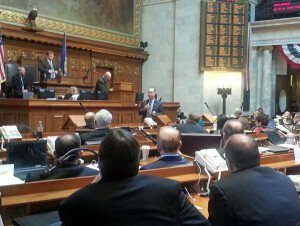 The state Assembly has kicked-off what could be its final session day of the year. Lawmakers are expected to take up dozens of bills, during a floor period that’s expected to stretch in to early Friday morning. Among the bills being taken up are a proposed $100 per child care tax credit Governor Scott Walker proposed, along with legislation authorizing $350 million in funding to build a new state prison. Democrats argue Republicans are going home without addressing important issues facing that state – such as fixing transportation funding and expanding broadband infrastructure. 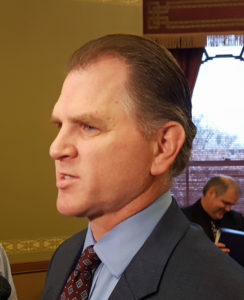 Assembly Minority Leader Gordon Hintz (D-Oshkosh) and other Democrats have called the child tax credit an election year gimmick, and argue the money would be better spent investing in the state’s infrastructure. Assembly Speaker Robin Vos (R-Rochester) says Republicans are proud of what they have done in the past year, and there are many accomplishments they can point at with pride.